The bedrooms in Telegrafisten and Postföreståndaren. 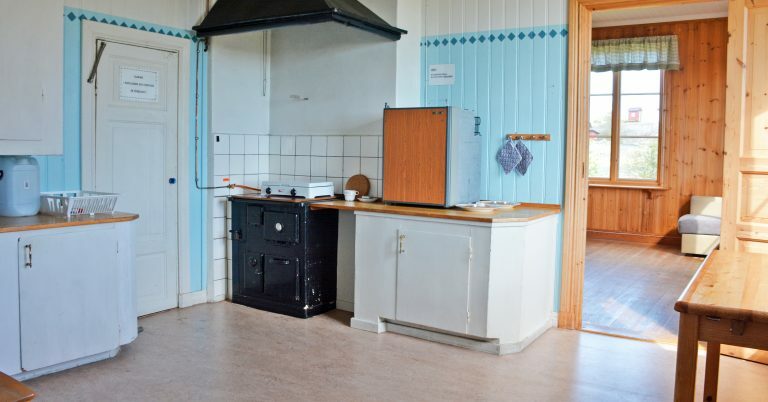 Kitchen in Telegrafistens and Postföreståndaren. In the 19th century, a lighthouse was built on Huvudskär, and customs and pilotage staff lived on the island in big, new buildings – Lotshuset (Pilot House) and Tullhuset (Customs House). 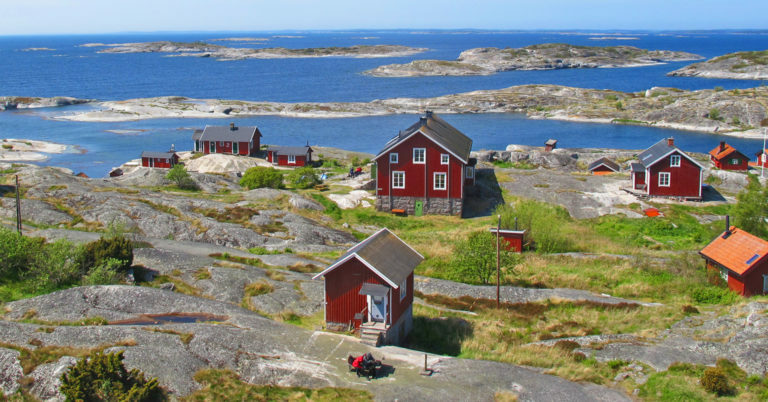 Visitors are mesmerised by the proximity of the sea, looking out on the outskirts of the archipelago and observing the birds and seals. The lovely old buildings make Huvudskär one of the most popular painting motifs in the archipelago. 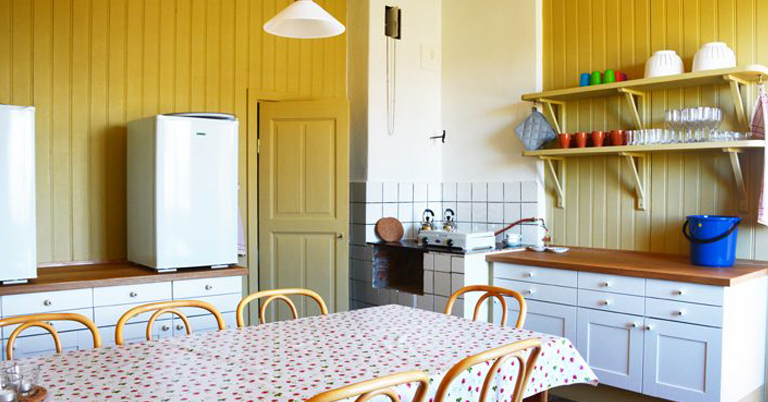 Tullhuset, which is on Ålandsskär, has 29 beds in total, divided into three flats with their own kitchens and four rooms that share two kitchens. 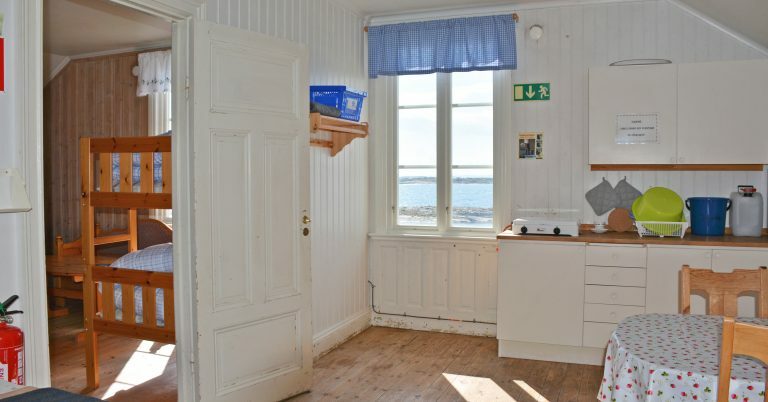 This flat has one room plus a kitchen. 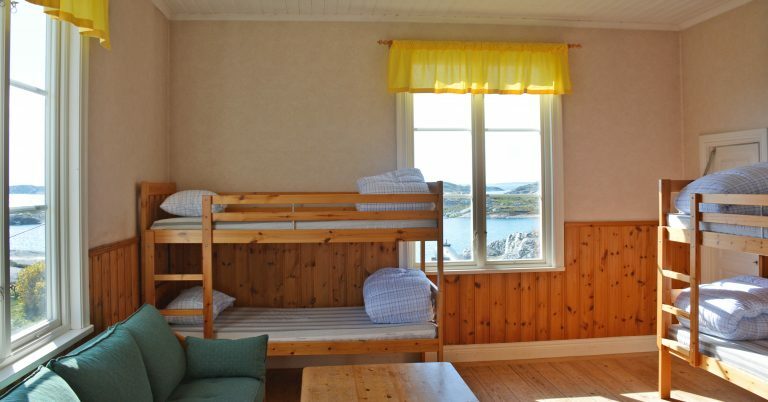 The room sleeps four people in two bunk beds. The kitchen has a gas-fired hob with two burners, as well as a refrigerator and houseware for four people. The flat has two rooms plus a kitchen. 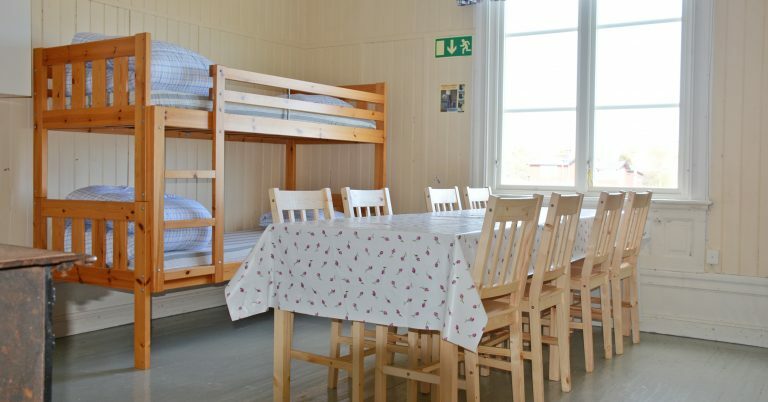 The rooms have three bunk beds, a total of six beds. The kitchen has a gas-fired hob with two burners, as well as a refrigerator and houseware for six people. 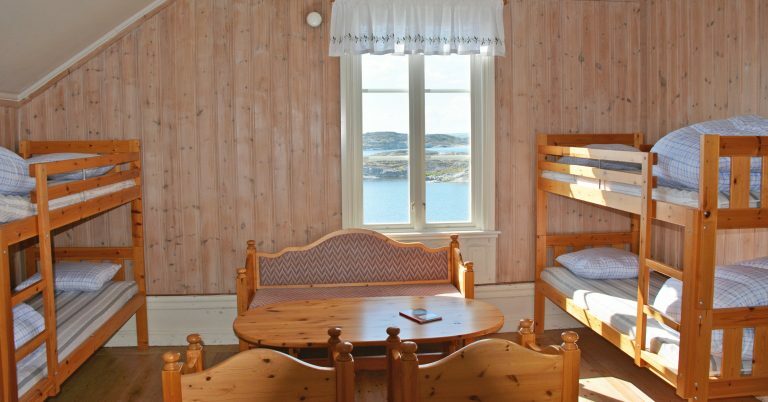 Consists of a room with three single beds. You share the Fyrvaktaren kitchen. Shared between Fyrvaktaren 1 and 2. The kitchen has a gas-fired hob with two burners, as well as two refrigerators and houseware for eight people. 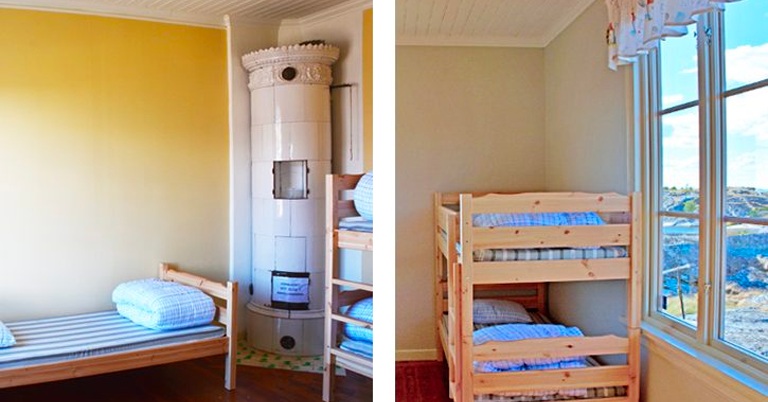 Consists of one room that sleeps three in a bunk bed and one single bed. You share a kitchen. 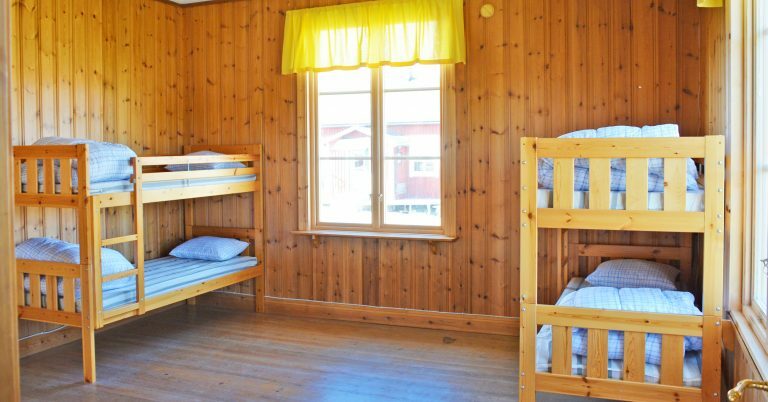 Consists of one room that sleeps four in two bunk beds. You share a kitchen. 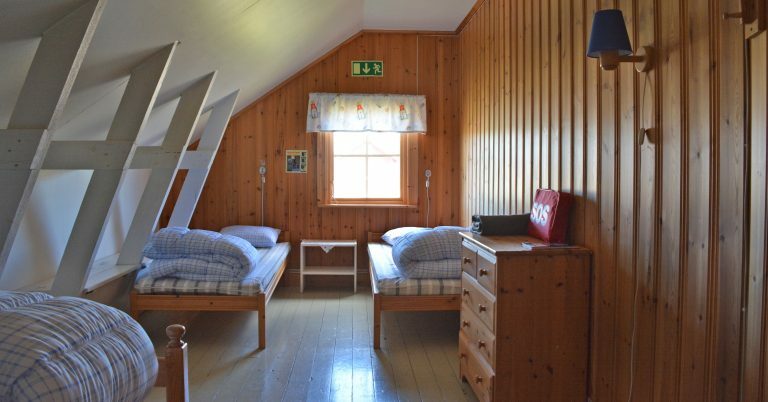 Shared between the Telegrafisten and Postföreståndaren rooms. The kitchen has a gas-fired hob with two burners, as well as two refrigerators and houseware for seven people. 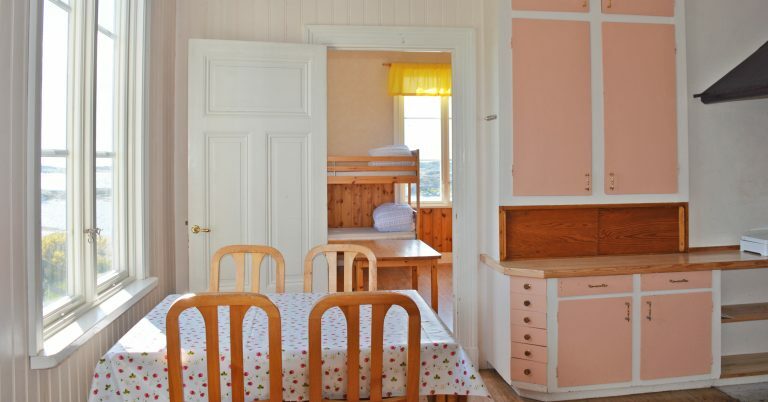 Check-in and check-out at 11.30 a.m.
Pets are only permitted in Tullkammaren and Mästerlotsen in Tullhuset. Tullhuset has three rowing boats that are shared between the flats. Life vests available: two 15–30 kg, four 30–50 kg, three 50–70 kg, four 70–90 kg, two 90+ kg. There is no toilet, shower, electricity or running water. There are outhouse and a fresh-water well. Tullhuset is open from mid-May to the last weekend in September.